Kensington Gardens is home to one of London’s most famous statues which celebrates a key children’s characters. The bronze statue of Peter Pan has been located in the park since May 1912 and Peter Pan author JM Barrie was heavily involved in the design – especially as he lived very close to Kensington Gardens. Barrie identified the spot in the park where the statue should be erected to celebrate the very first Peter Pan Story, the Little White Bird, which used Kensington Gardens as the backdrop for the tale. Sir George Frampton was commissioned to create the statue and it took a number of years to come up with the unique design of the character, even using a six-year old boy dressed in a costume as a model. To add to the magic, the statue was secretly erected in the middle of the night, so for anyone passing through the gardens the next morning, it would have appeared to have appeared out of nowhere. The author announced the arrival of the statue with a notice in the Times newspaper, saying: “There is a surprise in store for the children who go to Kensington Gardens to feed the ducks in the Serpentine this morning. Where can you find the Peter Pan statue? Kensington Gardens is easy to travel to via the London Underground. The key line to the park is the Central Line, with the nearest station being Lancaster Gate. Leaving by the Bayswater Road exit, then turn right and cross the road and Kensington Gardens is straight ahead. Past the Italian gardens and a few minutes on the path running beside Long Water is the statue. 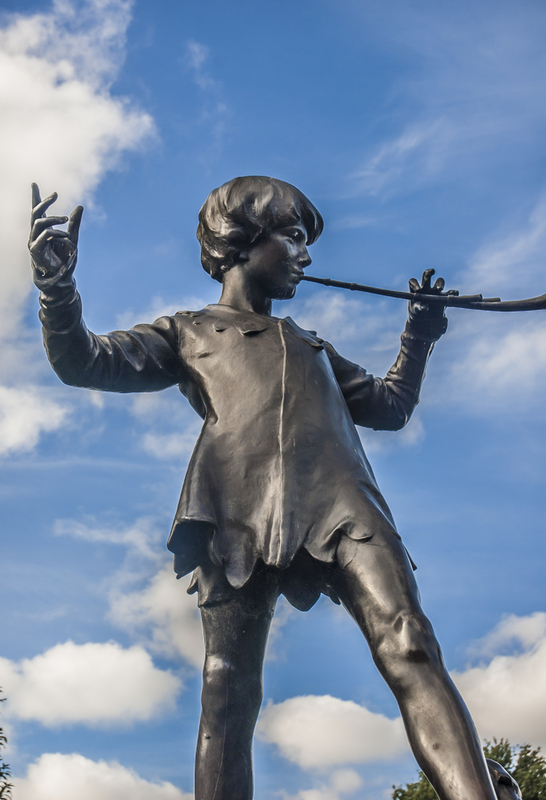 The Peter Pan statue is just one of many fascinating and historic features in Kensington Gardens so it is easy to spend a day there enjoying the great green space, which measures some 270 acres. 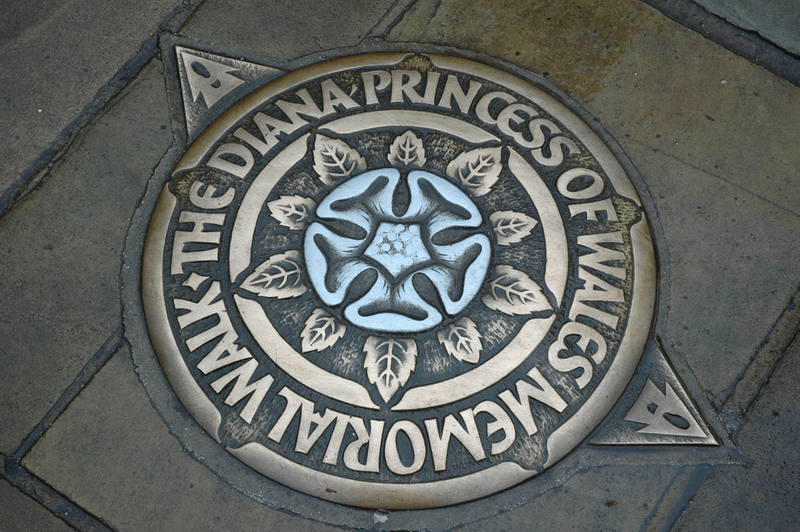 Children will also enjoy the nearby Princess Diana Memorial Playground, which serves as a tribute to the popular Royal Family member and was opened in 2000. More than one million children play on the site, which is designed as a giant pirate ship and will appeal to kids of all ages – plus it is a great way to wear them out! The playground was also designed specifically to ensure that it provides an area for both able and less able-bodied children to play together, and many of the features are inspired by the stories of Peter Pan. If you plan to visit the playground during summer, you may have to queue for entry as numbers to the free site are limited because of health and safety – so make sure you get there early. For adults, there is plenty of seating, as well as a cafe close to the playground, serving all the usual food and drink, as well as a cream time – ideal for a summer’s day. Kensington Gardens is also home to two galleries that showcase a whole host of talent from around the world. The Serpentine has a comprehensive programme of events that cover contemporary art and architecture and often reflects the changing seasons of the Gardens. In addition, the Serpentine Sackler Gallery is a recently opened gallery that was designed by Zaha Hadid Architects and is based in an 1806 gunpowder store. Visitors will enjoy the new 900 square metre space that is home to a gallery, restuarant, shop and social space. The galleries are open Tuesday to Sunday from 10am to 6pm when exhibitions are running, while the restaurant is open Wednesday – Saturday 10am – 11pm and Tuesday and Sunday 10am – 6pm. Entry is free, but visitors are encouraged to give a small donation to help cover the cost of operating the two spaces. Share the post "Find Out More About the Peter Pan Statue in Kensington Gardens"
This entry was posted in London Travel Guide and tagged Things to do near Kensington Gardens. Bookmark the permalink.